War and Nature destruction on Earth. 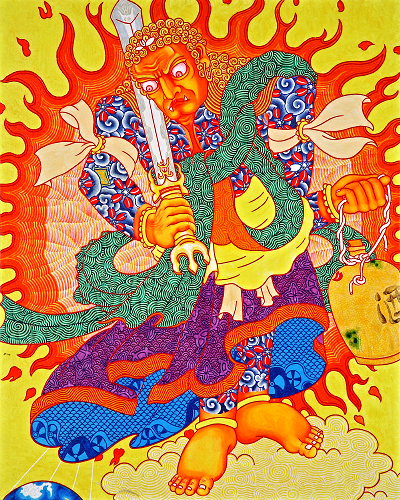 Fudo is ' Helios ' who punishes vice and loves peace on Earth. and ropes to bind vice in his left hand. and starts to have a 'Tokkuri ', with Sake. 'What should people do themselves ? '.